The brain may be the organ most critical to protect from trauma, because anatomic injuries to its structures are currently nonreversible, and consequences of injury can be devastating. The experimental study of brain injury mechanisms is unparalleled, because effects of trauma to the organs responsible for control and function of the body are the objects of the study. 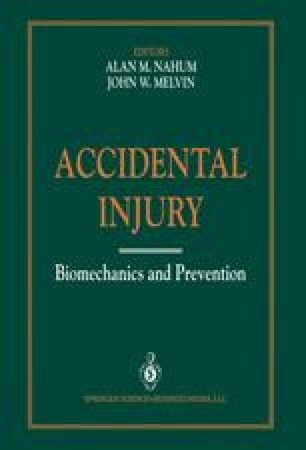 Injury of the central nervous system results not only from local primary effects, but from effects on physiologic homeostasis that may lead to secondary injury. The brain controls the flow of information, including autonomic control as well as sensory perception and motor function. The brain is the source of intentional actions, and it functions in time to store, retrieve, and process information. The state of self-awareness or consciousness is the highest level of brain function in man.